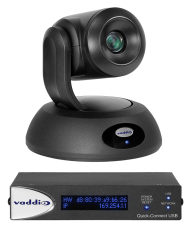 Quick-Connect USB System delivers high-quality HD video, power and control over two Cat. 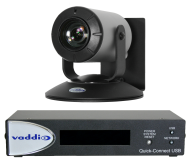 5 cables up to 100' for Vaddio PTZ cameras and 150' for Vaddio POV cameras. 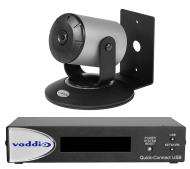 Based on UVC USB 2.0 standards, Quick-Connect USB outputs include USB 2.0, IP control and streaming (RTSP or HLS), component HD (YPbPr) and HDMI. Please select a system for this quick-connect to see a full list of items.